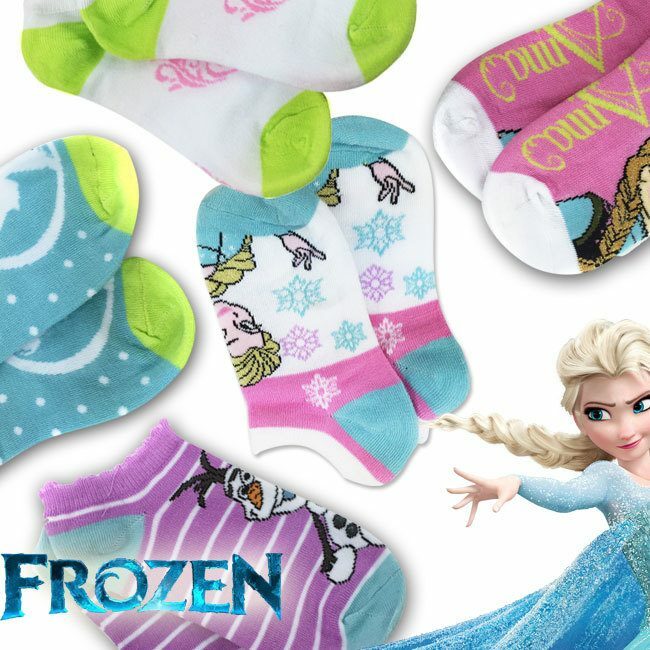 Officially Licensed Disney's Frozen 6 Pairs of No-Show Socks Only $5.94 Plus FREE Shipping! You are here: Home / Great Deals / Officially Licensed Disney’s Frozen 6 Pairs of No-Show Socks Only $5.94 Plus FREE Shipping! Officially Licensed Disney’s Frozen 6 Pairs of No-Show Socks Only $5.94 Plus FREE Shipping! Your littlest princess’s footsies can be Frozen but still warm! The Officially Licensed Disney’s Frozen 6 Pairs of No-Show Socks are Only $6.99 Plus FREE Shipping, but use code ANNAANDELSA to get an additional 15% off! These are going fast, so get yours now!